Attorneys for a southern California gun store chain have put the city of San Carlos on notice after it was blocked from opening an outlet in the city. 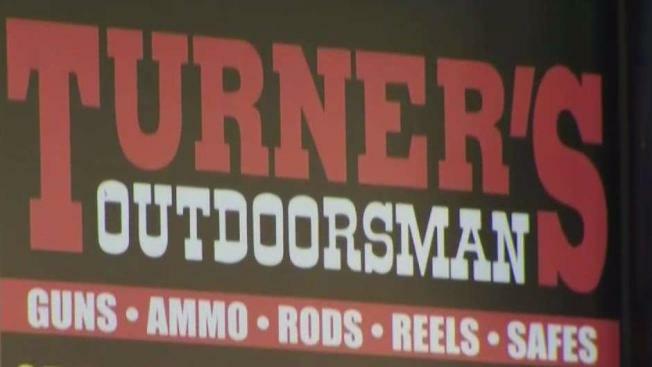 The owners of Turner’s Outdoorsman Gun and Ammo Outlet say they were treated unfairly after the city of San Carlos issued a moratorium on new gun stores. Many community residents didn’t like the idea of a new gun store opening in town, especially in light of the recent mass shootings happening in the country. “Every time we have one of these horrific shootings, everyone says ‘No more! It has to stop, we have to do something.’ Doing something productive is not opening more gun stores,” said shopper Suzanne Ortiz. San Carlos City Council member, Ron Collins, says the timing of couldn’t be worse. Collins says the potential legal action is also unnecessary because San Carlos has not banned the opening of any new gun store. During a heated city council session in November, members approved a 14-day moratorium and then later extended it to a year. Since then, owners of Outdoorsmen have taken down advertising signs for an opening that hasn’t happened yet. NBC Bay Area has reached out to the attorney representing Outdoorsmen and did not receive a response.